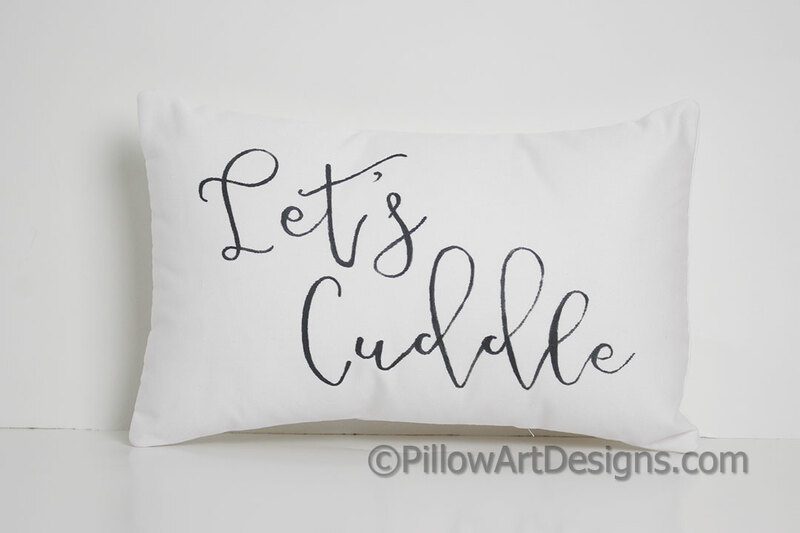 Mini pillow with words 'Let's Cuddle' hand painted in black cursive script. 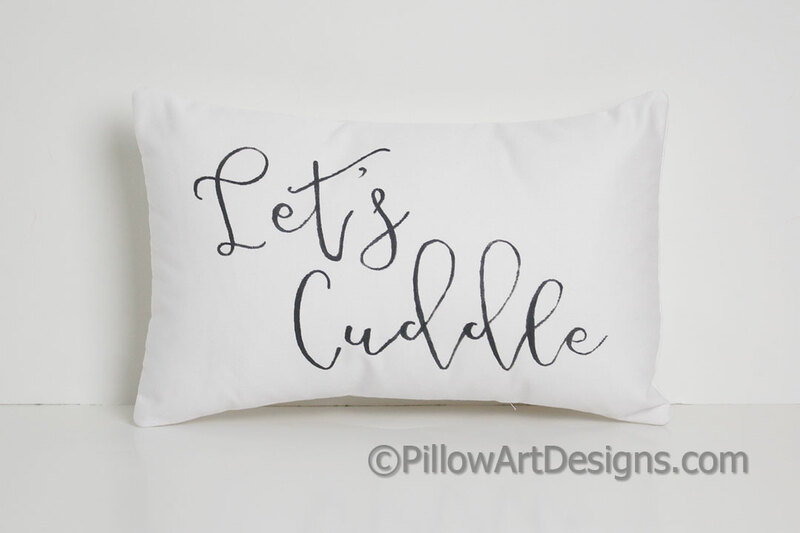 Mini pillow measures 8 X 12 inches, comes stuffed with hi loft polyester fiberfill, no need for an insert. Like the design, but need a different size or colour? Let me know, I can make one just for you!